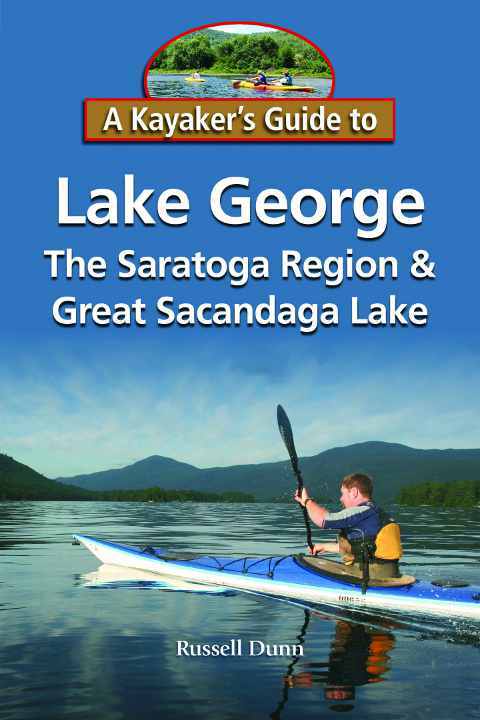 A Kayaker's Guide to Lake George, the Saratoga Region & Great Sacandaga Lake by Russell Dunn paperback, 6 x 9, 352 pages, maps & photographs, isbn 9781883789695, $19.95. Join Albany author Russell Dunn, a NYS-licensed guide and author of 10 books on the great outdoors of eastern New York and western New England, as he leads the way on 58 paddling adventures along the beautiful waters of the Saratoga/Lake George region's history-rich lakes and streams. EXPLORE * Lake George * the upper Hudson River * Great Sacandaga Lake * Kayaderosseras Creek * Champlain Canal * Lake Luzerne * Sacandaga River * Round Lake * Saratoga Lake * Ballston Lake * Glens Falls Feeder Canal * Lake Desolation and much more!! 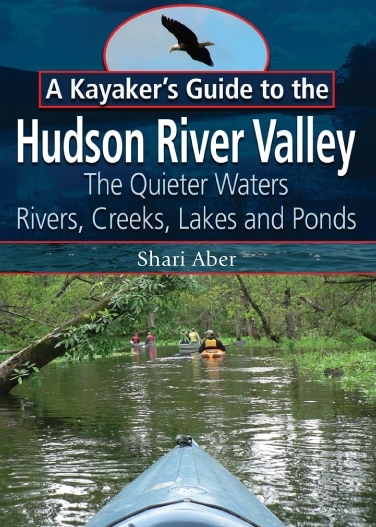 By the author of A Kayaker's Guide to New York's Capital Region; Adirondack Waterfall Guide; & 5 other guidebooks to the region; and the coauthor of Trails with Tales and Adirondack Trails with Tales. Includes detailed directions, information on launch sites, maps, GPS coordinates, photographs, safety & comfort tips, a wealth of historical & geological information, and directories of paddling outfitters, organizations and clubs. Praise for A Kayaker's Guide to Lake George There is an art to telling the story, what to put in and what to leave out. Russell captures that art in these pages. His tales of the waters, their geologic origins and the human saga of what happened along their banks combine to make a rich tapestry for the paddler. Russell Dunn is doing us a great service, making it easier to get out paddling and to see the stories behind the scenery, giving us reasons to care. Alan Mapes, former Director of Five Rivers Environmental Education Center in Delmar and Chief of the Bureau of Environmental Education for NYSDEC. About the Author Russell Dunn is author of nine previous popular and critically acclaimed guidebooks to the greater Capital Region: A Kayaker's Guide to New York's Capital Region: The Hudson & Mohawk Rivers from Catskill & Hudson to Mechanicville & Cohoes to Amsterdam (Black Dome Press, 2010) Adirondack Waterfall Guide: New York's Cool Cascades (Black Dome Press, 2003); Catskill Region Waterfall Guide: Cool Cascades of the Catskills & Shawangunks (Black Dome Press, 2004) Hudson Valley Waterfall Guide: From Saratoga and the Capital Region to the Highlands and Palisades (Black Dome Press, 2005) Mohawk Region Waterfall Guide: From the Capital District to Cooperstown and Syracuse (Black Dome Press, 2007) Berkshire Region Waterfall Guide: Cool Cascades of the Berkshires & Taconics (Black Dome Press, 2008). Adventures around the Great Sacandaga Lake (Nicholas K. Burns Publishing, 2002; Russell Dunn, 2011) Trails with Tales: History Hikes through the Capital Region, Saratoga, Berkshires, Catskills and Hudson Valley (Black Dome Press, 2006), coauthored with Barbara Delaney Adirondack Trails with Tales: History Hikes through the Adirondack Park and the Lake George, Lake Champlain & Mohawk Valley Regions (Black Dome Press, 2009), coauthored with Barbara Delaney Together with Barbara Delaney (also a NYS-licensed guide), Dunn leads hikes to waterfalls in the Adirondacks, Catskills, and Hudson Valley, as well as to other sites of exceptional beauty and historical uniqueness. Dunn and Delaney give frequent lecture & slideshow presentations to regional historical societies, libraries, museums, civic groups, organizations, and hiking clubs on a wide variety of subjects, ranging from waterfalls to natural areas of historic interest. Dunn can be reached at rdunnwaterfalls@yahoo.com.